We are pleased to offer a new location in Commerce Township, MI ready to serve your dog daycare, boarding and spa needs. We also have locations in Bloomfield Hills, Birmingham and Utica. 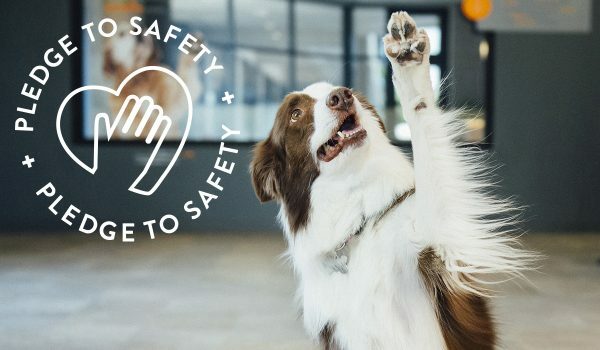 We’re dog parents ourselves so we fully understand any concerns you may have about leaving your dog, whether it’s just for a few hours or for an extended stay. 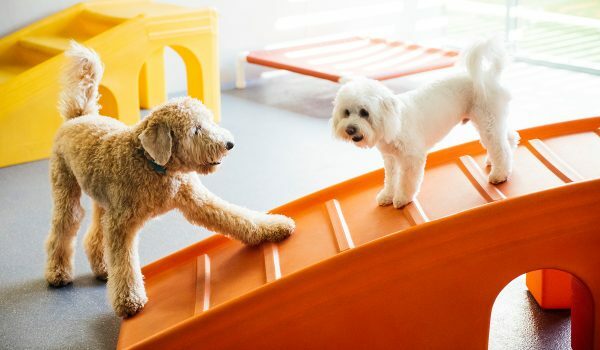 All three of our playrooms and outdoor play area come equipped with webcams, allowing you to check in on your dog at any time during regular business hours. All you need is a device that is connected to the internet! Favorite Activities: Playing and snuggling with his furry friends! 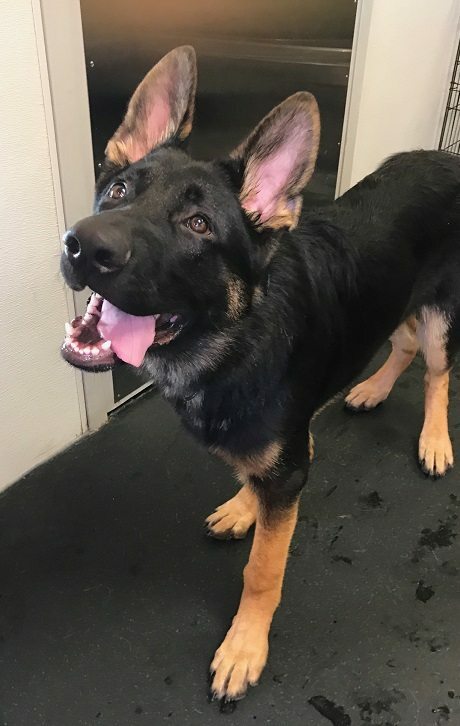 You’ll feel safe leaving your pup at our clean and modern facility in Commerce. Each dog is unique and our team is always willing to accommodate our clients’ needs. If your pup is spending the night with us and they can’t leave the house without that favorite blanket or toy, please feel free to bring it with them. We will also administer any medication your dog may be on free of charge. 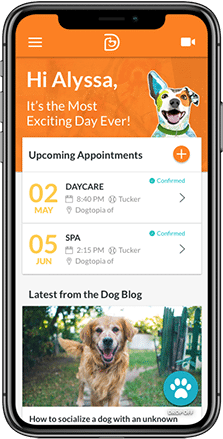 When you pick your dog up from daycare or an overnight stay, you’ll have a happy pup on your hands who’s tired out from a great day of play. 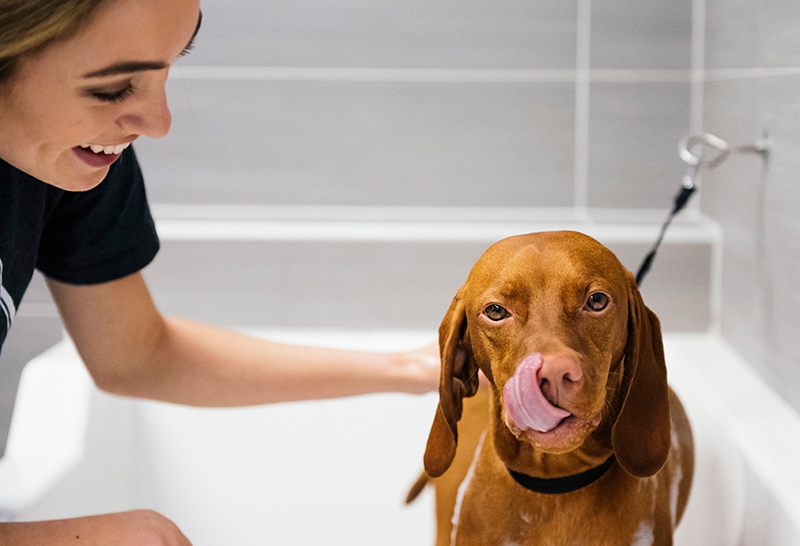 Add a spa service to your package for a clean dog that smells great. Your dog is a member of your family, you expect nothing but the best care for them and that is what we deliver. You send your children to daycare to learn, so why should your four-legged kid be any different? 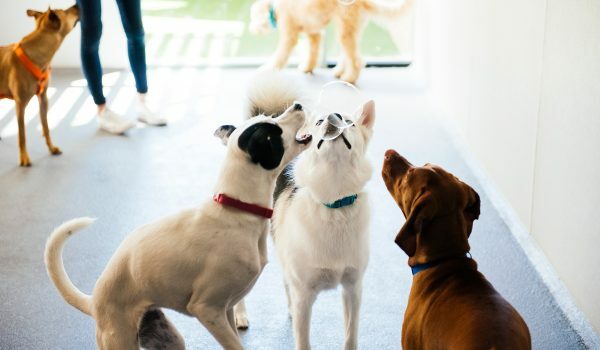 Dogtopia’s legendary daycare provides a safe and fun environment where your pup will get plenty of healthy exercise in our three spacious playrooms and enclosed outdoor yard. If you’re heading out of town for business or pleasure, your dog will enjoy their own fun vacation when you board them with us. Your dog’s safety is our number one priority, which is why we separate our guests according to their size, temperament and style of play. Our playrooms are fully supervised by our highly trained attendants. Our team undergoes the most rigorous training in the industry. They are certified in Pet First Aid and CPR through The Humane Society of America’s Disaster Animal Response Team. You can rest easy knowing that you’re leaving your fur baby in very capable hands. 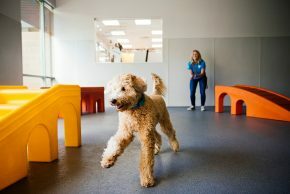 Dogtopia of Commerce’s brand new facility boasts three climate-controlled playrooms. Each playroom has a separate air handling system so the dogs still get the same fresh air they would if they were outside. To make sure our facilities are hygienic and sanitized, we deep clean our playrooms three times a day. 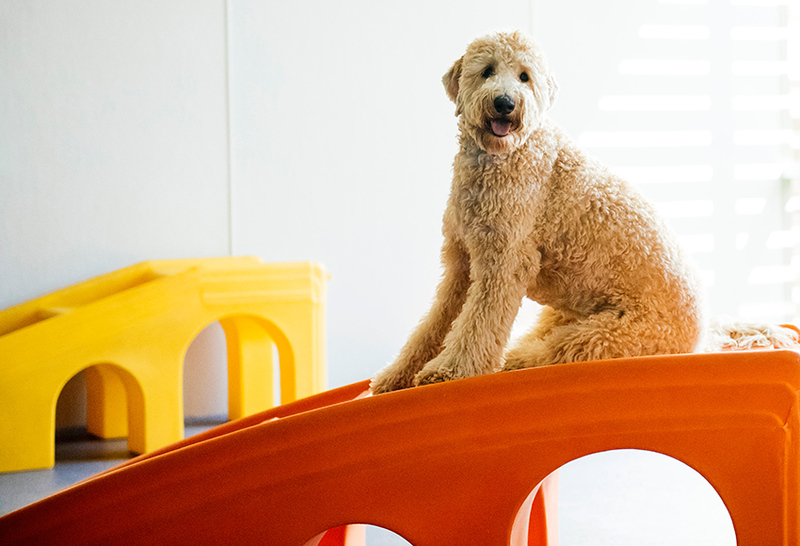 Dogs love playing outside and they can enjoy outdoor play year-round at Dogtopia of Commerce. We offer a fully heated play yard featuring hypoallergenic, anti-microbial K9 Grass. We’re conveniently located on the corner of Commerce and Union Lake Roads and only a few miles from the M-5 Connector. Dogtopia of Commerce proudly serves Commerce, West Bloomfield, Orchard Lake, Walled Lake and White Lake Townships. 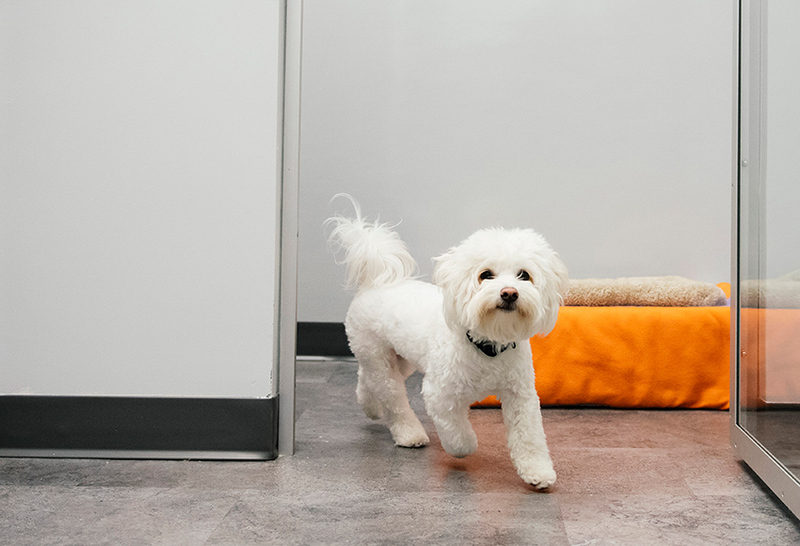 If you’re dropping your pup off for daycare or boarding, our location has a private drop-off area just for our clients and plenty of parking available. If you’re considering any of our services, please contact us or fill out our enrollment form to schedule a meet and greet with our team. We offer a free, no-obligation tour of our location. We are very proud of our facility and are fully transparent. During your tour, you will see all areas of our facility. We would love to meet you and your dog and show you everything we have to offer!